On a whim, I visited the local antique store. I am always in the market for a typewriter. And this time, there were two! 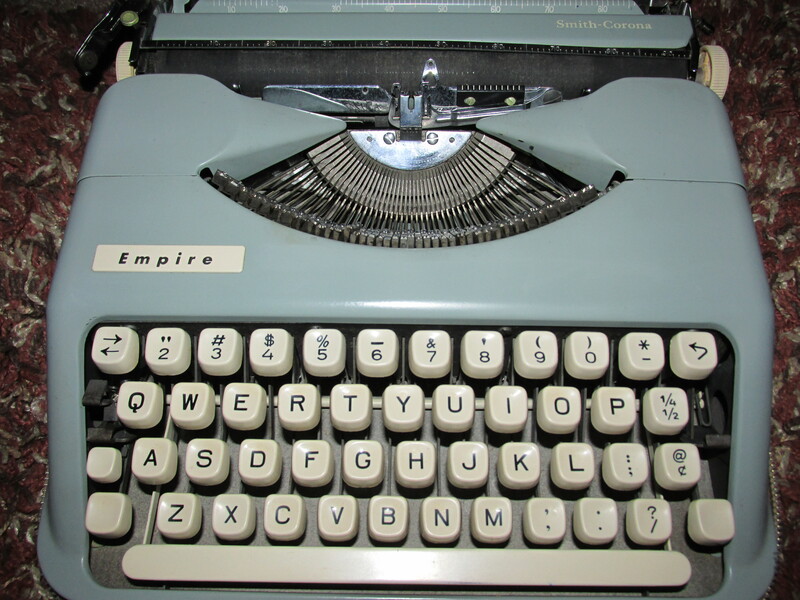 A portable Empire and a Remington. I purchased the Empire. A friend of mine helped me clean it and the Smith Corona I previously acquired. With the aid of toothbrushes, bottle brushes, q-tips, and cotton balls, and magic erasers, denatured alcohol, and goo gone, the keys and cases are much cleaner. That’s a cutie. I love the colour. Enjoy!